In October of 2015 I started a campaign to reach 1 million students via augmented reality. 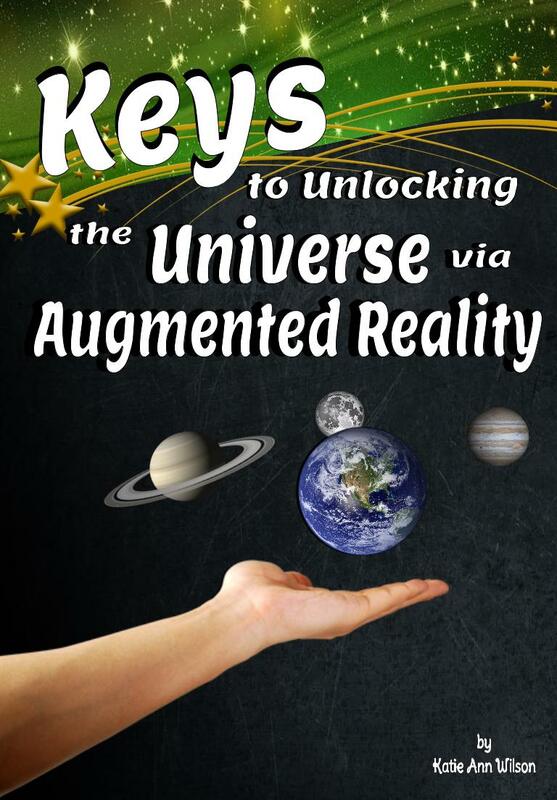 So far I have recorded reaching 400,000 students with augmented reality. I know I've probably have reached more than that, but that is what has be recorded so far. Teachers please fill out the form to inform me what augmented tool they used and how many students used the tool. 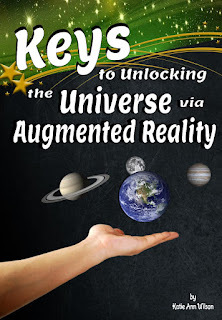 To help teachers use augmented reality in their classrooms I am writing a book "Keys to Unlocking the Universe via Augmented Reality". In the book I will break down the different tools you can use in your classroom. 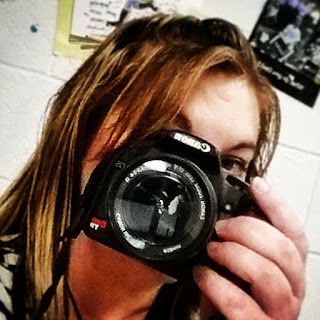 I will be giving you project/lesson ideas that you can try with your students. The book is currently in the works and should be ready for you very soon. By request I've added Making Compound Words Augmented Game - Set 2 to my list of augmented tools you can download and use in a center setting. 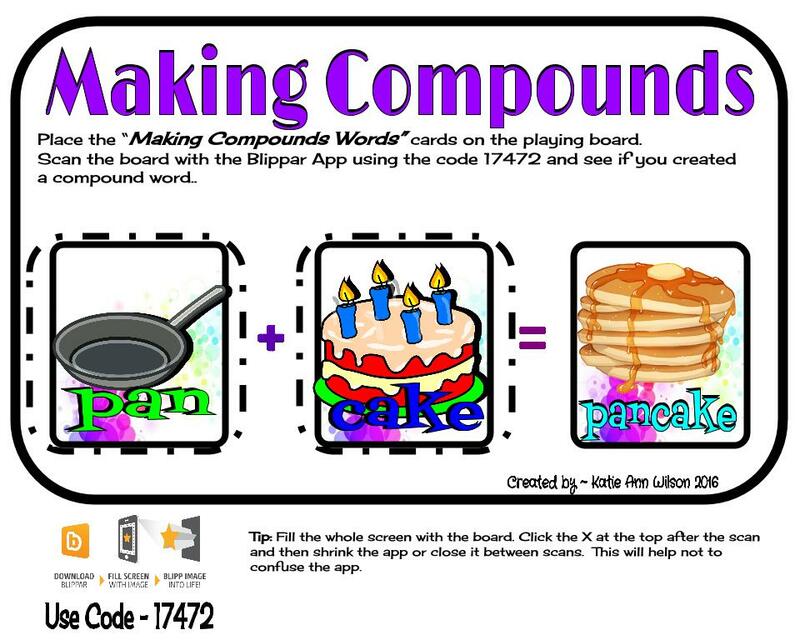 I am still thinking over adding audio to the "Making Compound Words Augmented Game - Set 1 & 2". If I do add that component it will auto update for you. When students put the game pieces on the board and scan them an image of the board with the correct answer should appear. 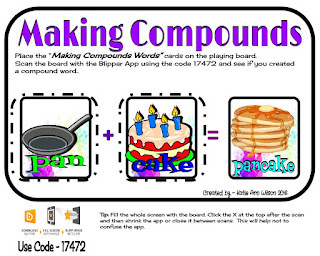 Since now I have the compound words pancake and cupcake students I hope will match the correct cake, so now not only is this game creating compound words but as well as developing matching skills. Students will need to match the correct background of the cakes to their matching compound word partner. If your students do not have matching skills you may want to keep the two sets separate until they have practiced putting the compound words together. When using this board and its cards remember to go to the app's settings and enter the code "17472" before you scan, this is very important to make the game work. Just a tip scan the whole board, making sure the entire board appears on your device. You will want to click on the X at the top of your device's screen in between scans. You may even want to shrink the app or even close it between scans. This will help clear out the previous scan, and keep the app from being confused. 2015 was truly a year of learning. The one thing I learned about myself was I can do more than I thought I could. Who would have thought this small town (I mean very small town) girl in the middle of the united states surrounded by farmland, oil pumps, and wind farms could reach so many. I will never know exactly how many educators and students I've reached and may faint if I ever did. I like to think that I've planted sends in a gardens around the world that have just started growing. With time, love, kindness, and curiosity these gardens are going to thrive. I just pray that those that reap from these gardens do not forgot I am still here and would still love to help in anyway I can. Don't forget to stay connected. 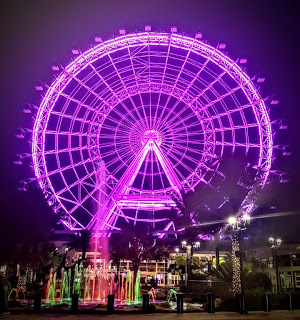 In 2015 I started a video hangout to help other educators use augmented reality in their classrooms called Let's Talk Augmented Reality for Education. This hangout led to a Twitter chat called #AR4Learning. I am amazed how many will go back and either watch the recorded hangout or read the archived Twitter chat. 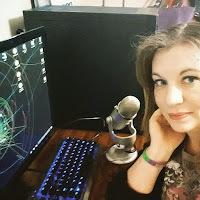 I know the days and times I picked are not ideal for everyone and I truly appreciate those who join me live for the hangouts and the Twitter chats. It is always more fun to chat with others about augmented reality than me just talking what I like to do with augmented reality. I love learning how other people are using augmented reality. I also LOVE learning what they would like to see happen in the world of AR in the classroom. Sometimes I get in a little rut and hearing their ideas spark ideas for me. 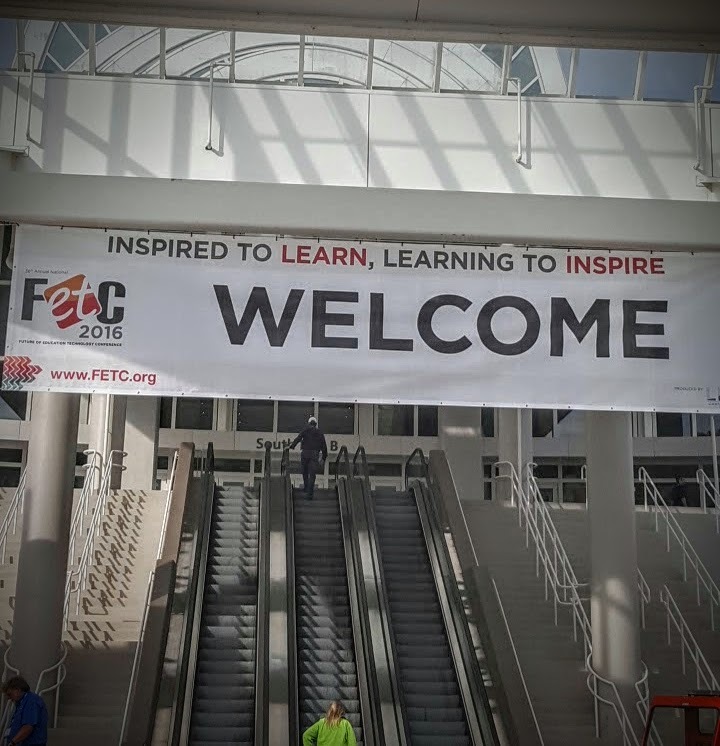 I also learned that I really love traveling to met other educators face to face via conferences. It really makes what I am doing real. I am really bad at taking pictures a.k.a. selfies of myself with others. In 2016 I plan on working on that. 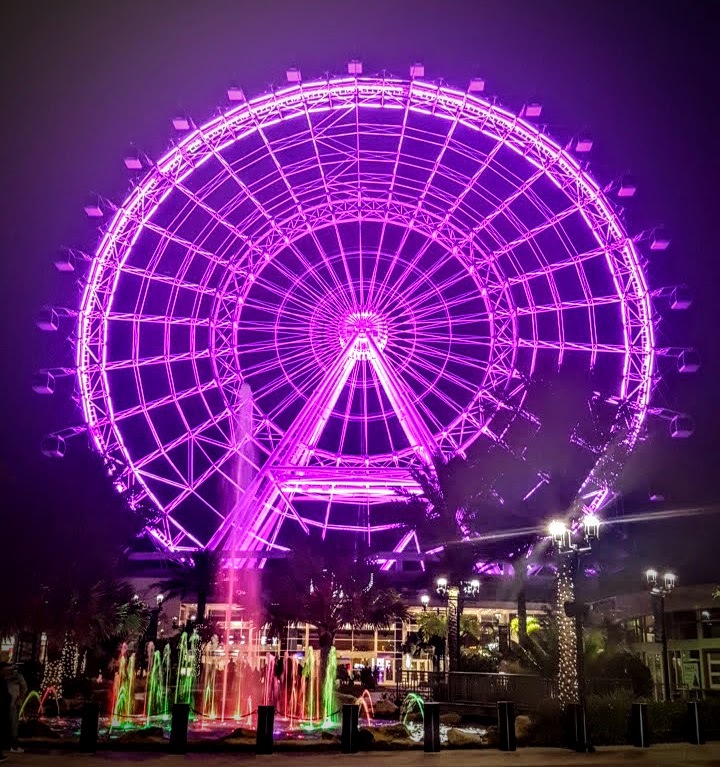 One of my hobbies is photography and I love to be behind the camera, not sure why I am uncomfortable turning it on myself. 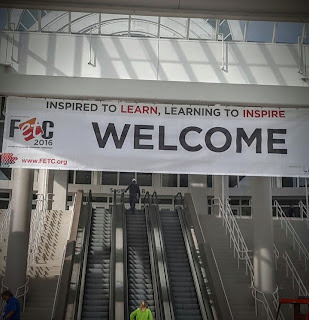 In 2015 I didn't get a chance to attend as many conferences as I would have liked to. Hopefully in 2016 I can go to a few more and make a ton more connections. In 2016 I would like to write a series of augmented children's books, have a ton more augmented lessons for teachers to just download and use, meet more educators, and travel the world. We will see which ones I get accomplished. 2016 for me will be the year of following my dreams.